We recommend checking out our discussion threads on the Macally Adjustable Automobile Cup Holder Mount MCUPMP, which address similar problems with connecting and setting up Car Mounts Macally. The user manual for the Macally Adjustable Automobile Cup Holder Mount MCUPMP provides necessary instructions for the proper use of the product Mobile - Cell Phone Accessories - Car Mounts. 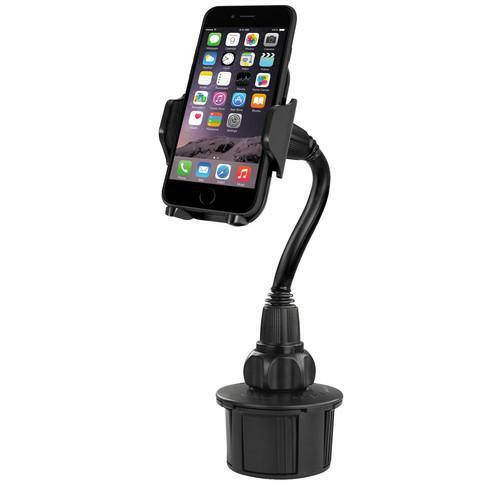 The Adjustable Automobile Cup Holder Mount from Macally is a mount for your cell phone, smartphone, GPS or PDA that fits into the cup holder in your car. The base is adjustable, allowing it to fit snugly into cup holders 2.7 to 3.7" in diameter. Expandable arms accommodate devices between 1.77 and 4.1" wide, and a pair of adjustable swivel supports hold your device in place without blocking access to ports. Meanwhile, the flexible neck allows you to customize the viewing angle of your device and the swivel holder lets you situate it either vertically or horizontally. The mount has soft grips and non-scratch backing for maximum protection, and its three holder positions help it fit your device. If you own a Macally car mounts and have a user manual in electronic form, you can upload it to this website using the link on the right side of the screen. Box Dimensions (LxWxH) 8.4 x 5.4 x 3.3"
The user manual for the Macally Adjustable Automobile Cup Holder Mount MCUPMP can be downloaded in .pdf format if it did not come with your new car mounts, although the seller is required to supply one. It is also quite common that customers throw out the user manual with the box, or put the CD away somewhere and then can’t find it. 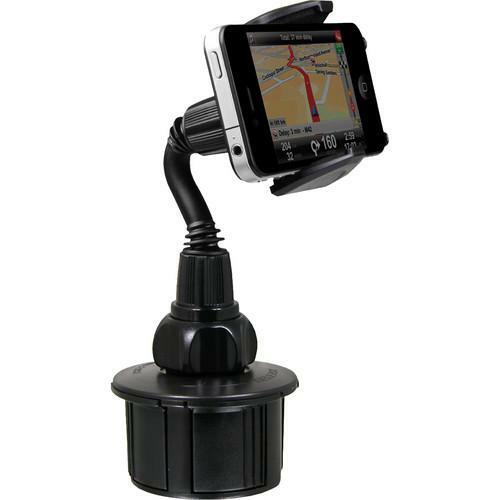 That’s why we and other Macally users keep a unique electronic library for Macally car mountss, where you can use our link to download the user manual for the Macally Adjustable Automobile Cup Holder Mount MCUPMP. The user manual lists all of the functions of the Macally Adjustable Automobile Cup Holder Mount MCUPMP, all the basic and advanced features and tells you how to use the car mounts. The manual also provides troubleshooting for common problems. Even greater detail is provided by the service manual, which is not typically shipped with the product, but which can often be downloaded from Macally service. If you want to help expand our database, you can upload a link to this website to download a user manual or service manual, ideally in .pdf format. These pages are created by you – users of the Macally Adjustable Automobile Cup Holder Mount MCUPMP. User manuals are also available on the Macally website under Mobile - Cell Phone Accessories - Car Mounts. I just purchased Macally Adjustable Automobile Cup Holder Mount MCUPMP, I beleive it is great product and very high engineering design, I just have one observation which I wished the goose neck was a little bit longer to adjust it to my Sonata 2011 gear shift since the cup holder very close to the gear shift. over all it is excellent product. Thank you and best regards.